I love giving presents. I put a lot of thought into what I give. I usually start thinking about gifts in May or June. Christmas shopping is a multi step process. Step 1: make a list if everyone I usually shop for. I think about their likes, dislikes, and things they may have mentioned they want. Step 2: I plug this list into my Christmas list ap. I bought this ap last year and LOVE it. I don't receive anything for telling you about it, I just REALLY love it. I had downloaded some free ones but they really weren't as good. Step 3: I start listing what I'd like to get them. You can Change and delete as you go along so it makes it really easy. In case you look at the ap and see that it still say I need to purchase some...I don't I just forgot to go in and click purchased. The ap keeps track of your budget, what you still need to purchase, and how many shopping days you have left. 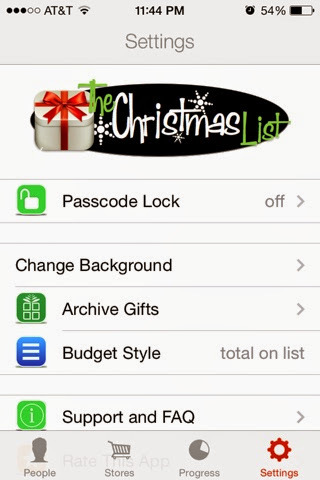 You can also pass lock it which is great if you have kids or spouses that are snoops. When you are finished shopping you can enjoy this Christmas drinking game. I totally stole this from Facebook. 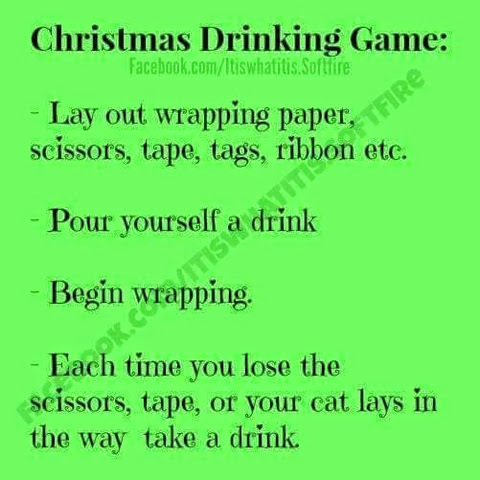 Haha love the Christmas drinking game. I just write my list in evernote, but I don't keep great track of what's all done already. I should get the app. I start buying presents early as well. That way I'm not overwhelmed in December.